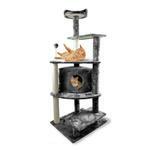 No cat can resist the Furhaven Tiger Tough Platform House Cat Playground with its endless entertaining platforms! 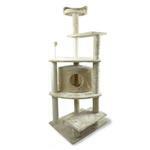 The Furhaven Tiger Tough Platform House Cat Playground is the ultimate cat playhouse for your favorite kitties! Its multiple platforms provide climbing fun and endless playtime. It has 3 scratching posts, a cat house for cat naps or privacy, a springy plush ball toy and perch at the top. 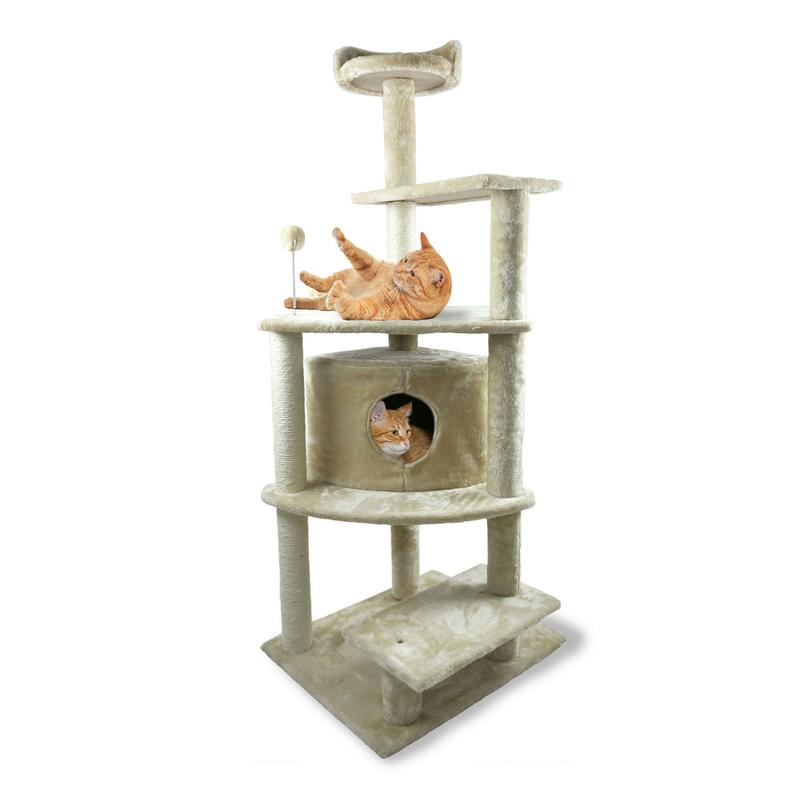 Its soft plush will always feel comfortable for cats and looks great with any home decor. Let the entertainment begin! Dimensions: 23.6" x 19.3" x 59.8"